The Center for Podiatric Care and Sports Medicine team is always looking for new ways to help our patients. Dr. Josef Geldwert first heard about SOLS custom 3D printed orthotic devices at the New York Podiatric Medical Association’s annual meeting. After speaking with Dr. Geldwert, founder Kegan Schouwenburg decided to add Dr. Geldwert to the SOLS team as a biomechanics advisor. At our practice in NY, we capture images of the feet on a computer tablet and devise a mathematical formula to send off to SOLS for 3D printing and fabrication of a shoe insert that perfectly matches the individual. What Is 3D Orthotic Scanning & Printing? In the past, podiatrists made messy plaster molds of the feet to create carbon fiber or fiberglass shoe inserts that would correct structural abnormalities in the feet and straighten the entire body’s alignment. In the present, we use computer technology and 3-D printers to make molds out of materials that are softer, lighter, easier to clean, and more shock-absorbent. In most cases, this product is at least partially covered by a person’s insurance, which helps offset a portion of the cost. Using computer technology also substantially lowers the cost of production for doctors and manufacturers, so the savings can then be passed on to the consumer. Fun personalization (with orthotics in every color of the rainbow). Best of all, we like the customer experience of working with SOLS, which trickles down to make our practice even better and more competitive. Why the Center for Podiatric Care and Sports Medicine? 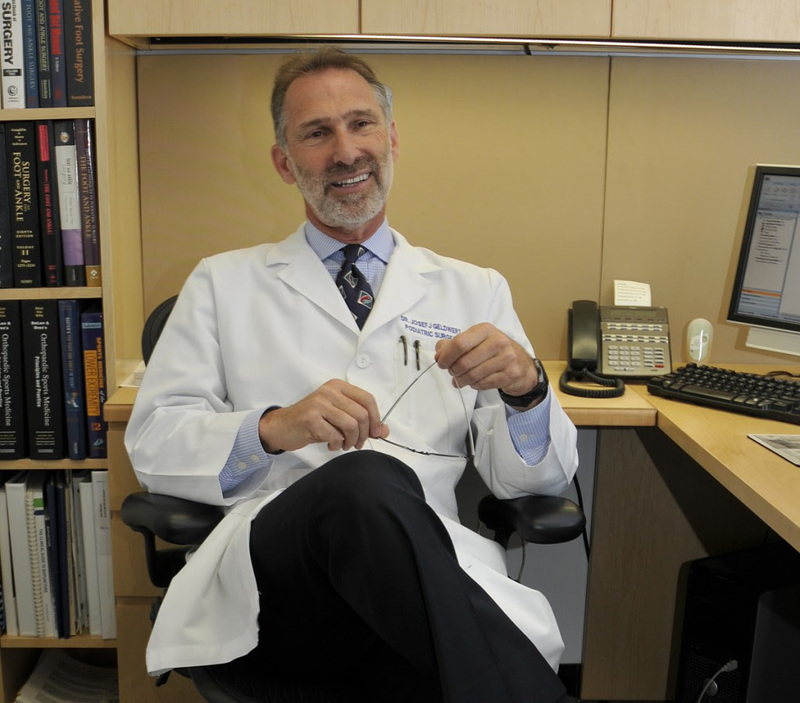 You can read the October 28th SOLS Spotlight on Dr. Geldwert here or contact our New York offices here.